Khloe Kardashian's journey to parenthood: From cool aunt to mom-to-be! The news that Khloe Kardashian is pregnant may have come as a surprise, but the 32-year-old reality star has been open in the past about wanting kids of her own. In the season finale of Keeping Up With the Kardashians back in June, Khloe revealed to her sister Kim that she and her boyfriend, Tristan Thompson, were in the early stages of considering children. "He wants to have kids now," Khloe explained, after initially expressing her hesitancy to be a surrogate for Kim. "He said, 'I want to have kids with you, [and] if you get pregnant, you could make maternity jeans for [your clothing line] Good American." Khloe has previously struggled with the idea of having children, particularly in her marriage to Lamar Odom. When visiting the fertility specialist with Kim, she had to explain that she had "fake tried" to get pregnant while married to the basketball star. "When I was doing my fertility treatments, they were more so for Lamar," she shares in the episode. "I had to stop because there was much deeper stuff that was happening in our marriage." "I knew that it wasn't the right situation to bring a child into, and I think I've done a lot of covering up for him, like, even when it made me look like I was the problem," she adds. "But I was fine taking on that burden on my shoulders because he had a lot of other deeper s**t to deal with." Khloe faced some fertility issues in the season finale, but they appeared to be cleared up by the end of the episode. "I am really, really excited about my future with me and Tristan," she said. "We're doing so well, and I'm looking forward to see where all that goes." It certainly doesn't hurt that she appears to be a total natural with kids, showering affection on her nieces and nephews as "Auntie Koko." 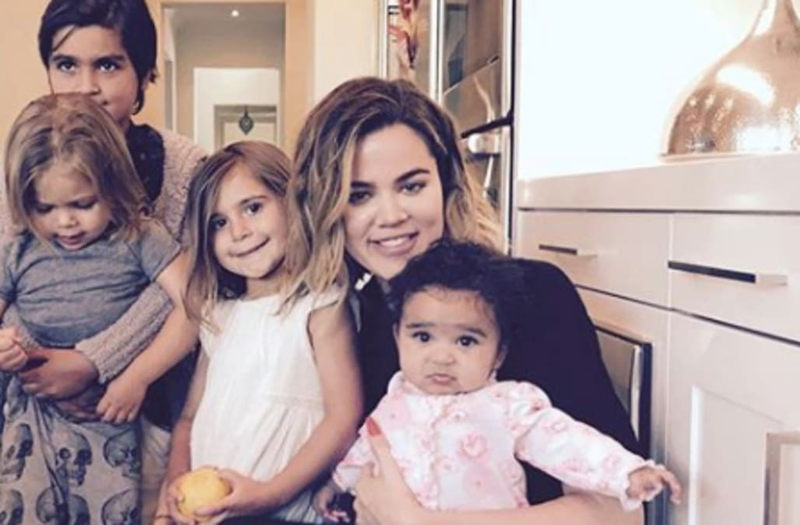 It shows in moments like these, when Khloe shared this cute pic on Instagram, showing her crouching on the ground posing with her brother Rob’s daughter, Dream, and sister Kourtney’s three children, Mason, Penelope and Reign, calling them "my squad!"